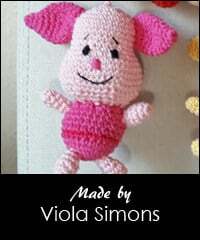 Winnie the Pooh’s best friend: Piglet! Piglet will be a little bit larger than Winnie the Pooh. I made a Winnie-Pooh-Mobile for my Baby. 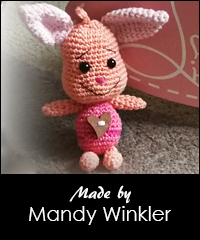 The Pattern was very easy and it looks great! Thank you! i would really like to make this. but having some problems. This is Free, right? How can I download it? thanks! Yes it’s free. You can put it in your cart and checkout. You need to log in to get your downloads.